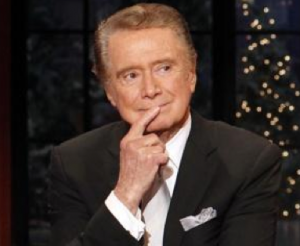 Regis Philbin is taking a break from the talk show format (but maybe not by choice). His return to TV won’t see him chatting on a daytime sofa — he’s aiming for a bigger prime-time talent show. Philbin, who hosted the first season of NBC’s “America’s Got Talent,” has formed RAF Productions with former “Live With Regis and Kathie Lee” director Barry Glazer, “City Island” executive producer Edward Walson and “Writers Guild Awards” exec producer Cort Cassidy. Philbin has been contacted by “Gangland” producer Michael Manshel about other concepts, including reviving the variety format.